This entry was posted in Politics and tagged 2nd Amendment, David Hemenway, Firearms, Gary Kleck, guns, guns and suicide: a fatal link, guns cause suicide, guns do not cause suicide, harvard school of public health, journalism is liberal, leading methods of suicide, Mark Rosenberg, New York Times, Sabrina Tavernise, seasonal affective disorder, suicide. I read the same NY Times article and wondered what another side of the story was, I really like this blog because it shows just that… another side of the suicide story. It’s clear that this author doesn’t understand what an “ethical lapse” is. This isn’t one. You can question the journalistic completeness, but ultimately without a crystal ball, this issue can’t be explored completely. But you cannot accuse Sabrina Tavernise of an “ethical lapse” unless you are a polarized gun nut that thinks that it is unethical to say bad things about guns at all. 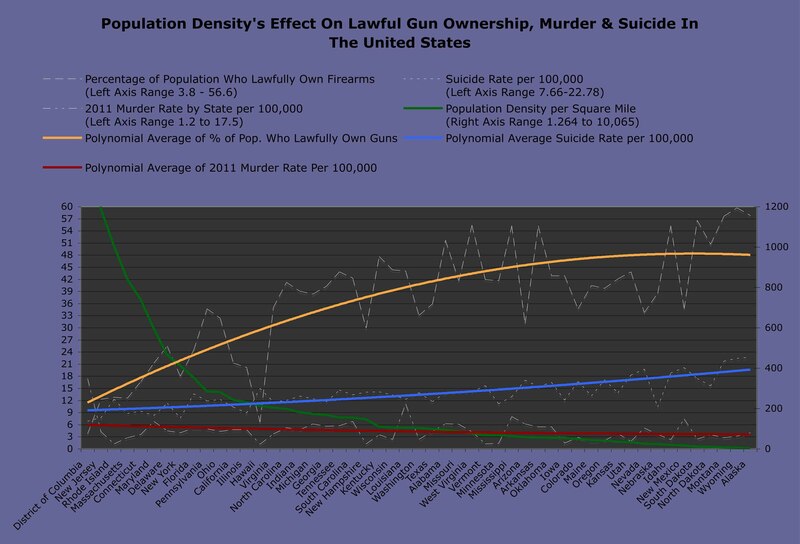 While Ms. Tavernise is quick to point out that “nearly 20,000 of 30,000 deaths from guns in the United States in 2010 were suicides,” a sensational number, she failed to give her readers any sort of context by which to measure those numbers. She simply lets the numbers sit and ferment for the reader. She made no effort to examine any real causes of suicidal ideology, such and social isolation and seasonal affective disorder, nor did she compare suicide rates and methods in countries of similar size or economic status to the United States. Instead, in what appears to me a wholly preconceived prejudice, she wants to focus on guns, as though owning a gun “is like bringing a time bomb into your house.” You must understand, with a time bomb, it is not a matter of if, but when. Time bombs ALWAYS go off. Globally, hanging is by far the most prevalent method of suicide. Does that mean owning a good piece of hemp is like having a time bomb in the house? 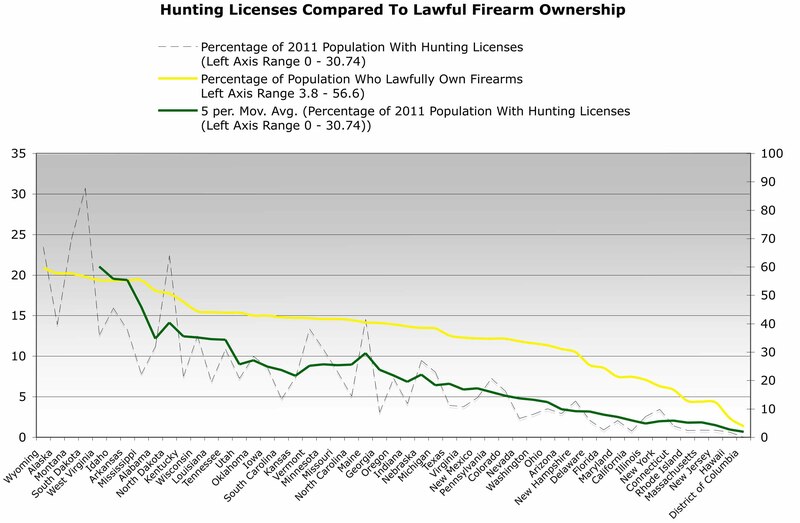 Ms. Tavernise is quick to quote criminologist Gary Kleck when it suits her needs, “Gary Kleck… contends that gun owners may have qualities that make the more susceptible to suicide,” but ignores Kleck’s major finding that up to 2,500,000 Americans lawfully use firearms to protect themselves and their property every year from criminals. 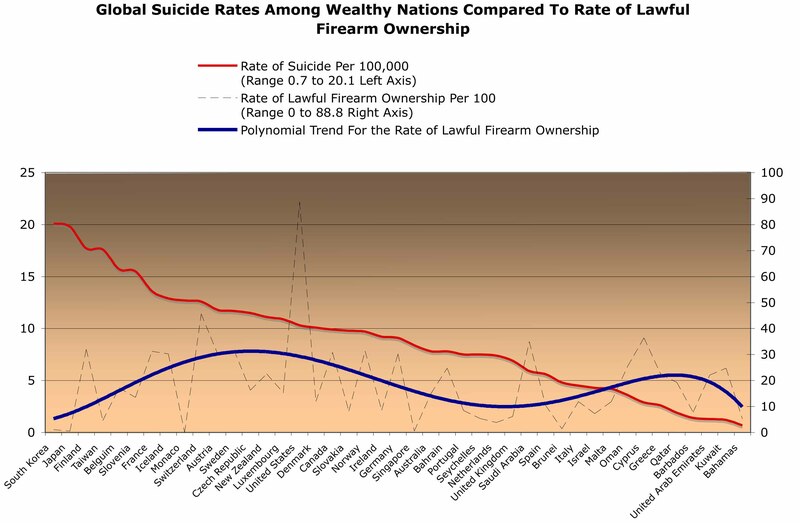 Once again, on a global scale, nations with little or no private ownership of firearms statistically have higher rates of violent deaths. Why omit this fact when it is right there, a mouse-click away? Ms. Tavernise makes no attempt to explore and report the risks of disarming a large society. 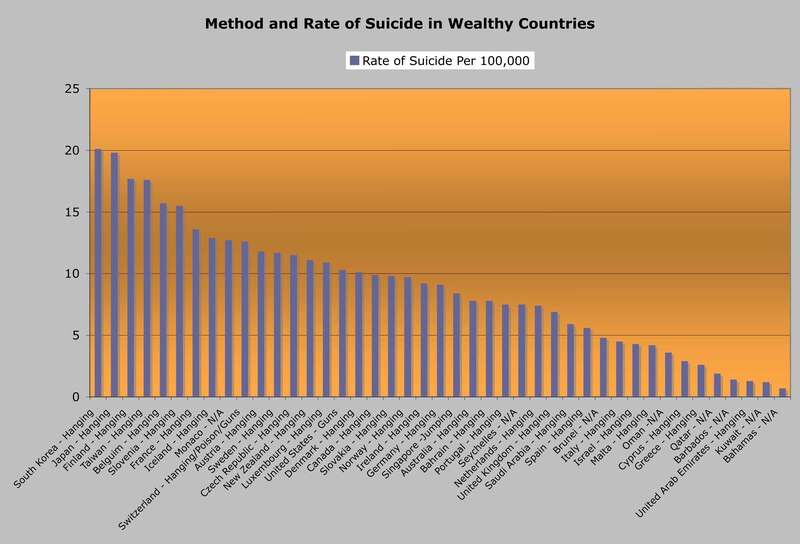 In America, our combined rate of violent death and suicide is between 16 and 17 per 100,000 in population per year. Of the world’s most populous nations, China, India, America, Indonesia, Brazil, and Pakistan, only China has a lower reported risk of violent death and suicide at between 13 and 14 deaths per 100,000 per year. Brazil, the world’s 7th largest economy and a country where citizens little right to bear arms, has a violent death and suicide rate double that of America’s. 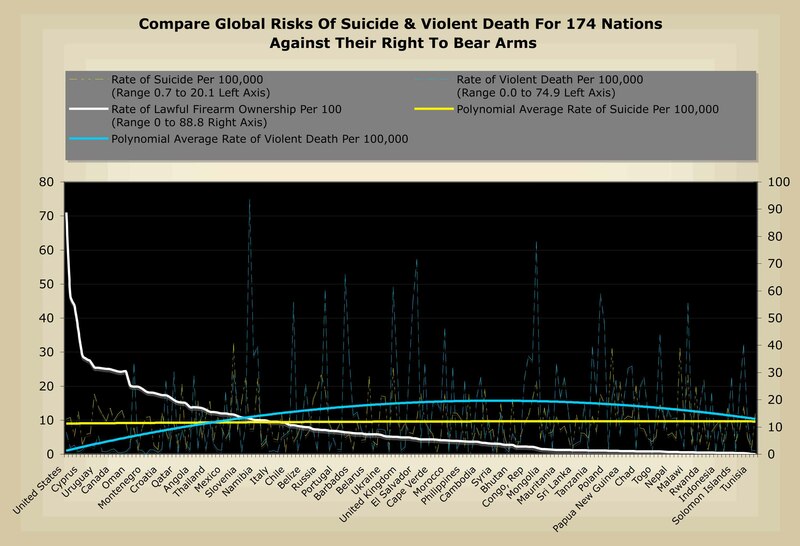 Of the six most populous nations on Earth, only the United States has a significant citizen right to bear arms, yet our risk of violent death and suicide remains comparatively low. These statistics are readily available from a bevy of reputable sites like the CIA and the WHO, yet Tavernise refused to challenge her assumptions by researching any real facts. Why not? 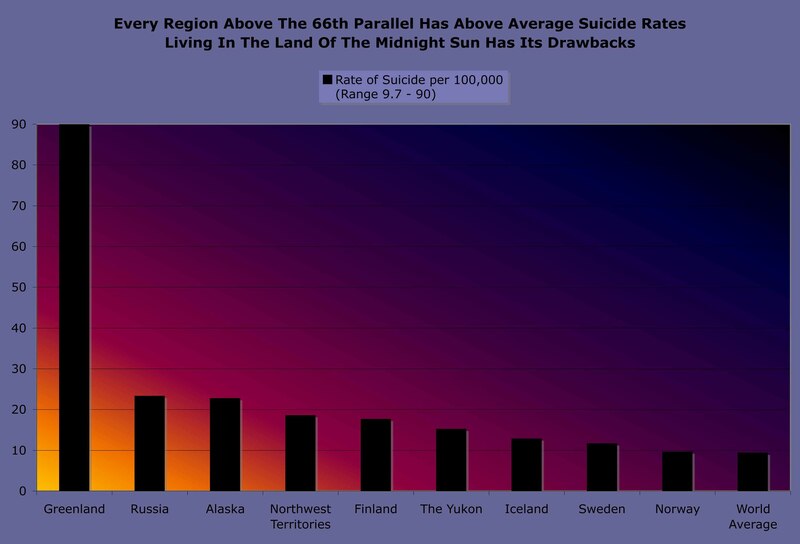 Instead of pursuing facts, Tavernise fills her space with anecdotes from the likes of Harvard’s Catherine Barber, “Nearly everything they substitute (as a means of suicide) will have lower odds of killing them, sometimes dramatically so,” yet she does nothing to verify methods of suicide on a global scale. Why not? If she had, she would have discovered that self-strangulation by hanging and jumping are equally effective and far more popular methods of suicide world-wide. You may think Sabrina Tavernise is simply an incompetent, bumbling journalist who made and honest mistake in blaming guns for a fictional culture of suicide in America. I disagree. I believe she is very, very smart but sadly driven by a false ideology. I find her lack of factual research, her heavy reliance on emotional anecdotes and cherry-picked quotes both disingenuous and unethical. As far as your little jab at me, it is a bit of a logical fallacy, don’t you think? Had the facts backed up Tavernise’s premise, I would have wholly supported her position. Unfortunately, I actually did the research, and the facts just do not match her premise or conclusion. I encourage you to check the raw data.